I have been on a huge crockpot recipe journey, and my Crockpot Teriyaki Pork Tenderloin recipe is pretty much the icing on the cake of all the crockpot recipes that I’ve been making! I was really curious as to how far I could push recipes to make in a crockpot, and I’m so happy with what I came up with! Yes, I did use our lovely search engine friends to see what everyone else did…and honestly, I was not really happy with the ingredients they were using. So, I looked through my pantry and fridge to see what I had…and EUREKA!! I was gonna make this bad boy happen! The end result? SO amazing, and beyond what I was hoping for! The tenderloin turned out super amazing, moist, and was falling apart while I was trying to cut it! Holy snikes…amazing! I really can’t wait for you to try it out! With your crockpot on low, place pork tenderloin into the pot. Add all ingredients on top of the pork tenderloin and crockpot. 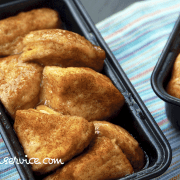 Allow pork tenderloin to cook for a total of 4 hours. After 2 hours of cooking on low, flip the tenderloin over in the crockpot. Allow to finish cooking for the remaining 2 hours. 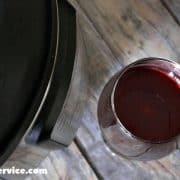 When serving, be sure to add some of that amazing crockpot juice on top! 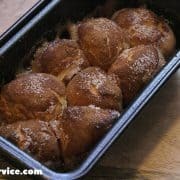 I hope you enjoyed this recipe, and my many others! Please be sure to sign up for my e-mail newsletter and receive my FREE recipe eBook!! Here are some other amazing recipes to enjoy! I am rather ashamed to admit that I have NEVER cooked a tenderloin!!!! This looks so easy, but of course anything in a slow cooker is easy. Pinning and hoping I make myself make it. You know, I’ve just started using a slow cooker! lol. However, I normally sear it on the stove top first…and finish in the oven. Holy cow…it was literally falling apart…and the aroma is amazing! TY for pinning @disqus_aZaihlN35T:disqus! Aww! Thank you so much, LindySez!